To be honest, I was sick the most part of November so the products that’s here are more soothing and relaxing as I have been reaching out to products that will make me feel better as I have spent the better part of the month lying in bed. Promising to be the skin salvation for any situation, the Pink Skies Beauty Balm from Girl Undiscovered claims to soften and heal any part of the skin that needs it – lips, cheekbones, cuticles, heels, or any rough patches. It contains olive fruit oil, beeswax, coconut oil, sweet almond oil, propolis extract, limonia acidissima bark extract, neem leaf extract, cinnamonium cassia bark oil, macropiper excelsum leaf extract, and moringa olifeira seed oil. This balm uses all natural ingredients, is cruelty-free, and doesn’t use parabens or synthetic fragrances. The color and packaging are to die for, it’s simple and luxe, and it looks too precious. Now that we got that out of the way, let’s talk about the actual product. I thought the balm would be on the heavy side because of its oil ingredients but it’s light to the touch. Even if I swirl my fingers inside the tub numerous times, it doesn’t feel heavy. Not balmy at all, which is usually the case. Most balms would feel heavy on the lips like you couldn’t eat or drink. Definitely not this one. It applies evenly and has a slight aromatherapy smell to it. I like that it doesn’t just cover and sit on top of your lips, it dissolves into a light oil-like texture and feels lightweight on the lips, which I like. Because of that, it also doesn’t get easily removed, especially on my lips. It immensely helps whenever my lips get chapped, which happened twice when I started using this. I got colds, which made breathing difficult and it resulted in extremely dry lips. As soon as I felt that my lips are drying, I put this on knowing I will wake up with softer lips. It’s a bit of a miracle, actually. It would take other balms two to three days for me to see results but with this one, I can see and feel softer lips overnight. It also helps lessen the sting while it heals the chapped parts, which I have never experienced with other balms before. I also like using this before applying matte lipsticks to protect my lips. That light pink sheen is also a plus, especially for days when I don’t want to put anything on my face. 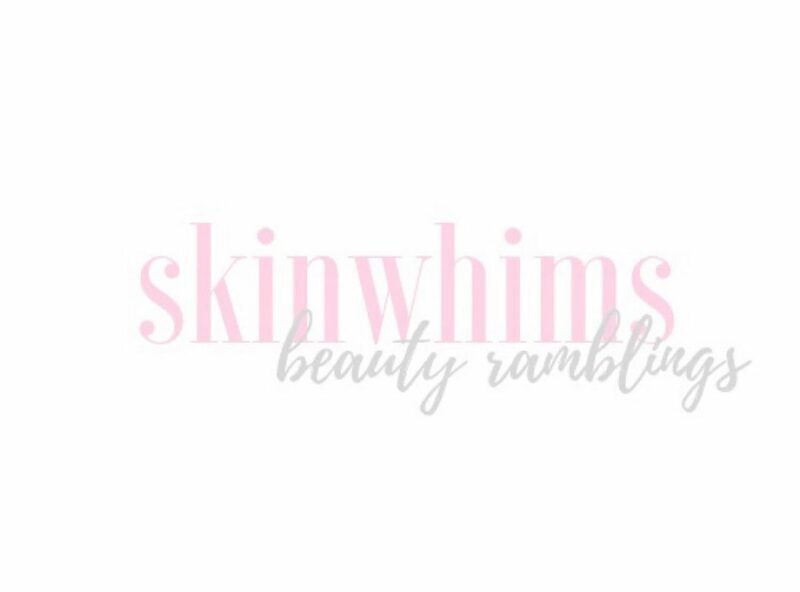 I love it, honestly, and I would definitely recommend this to those looking for a natural balm that’s no-fuss, lightweight, and less balmy than other lip products. Having dry under eyes was a baffling revelation to me, someone who has an oily skin. I honestly never paid too much attention to it. All I know is I have a face that easily gets oily. Then I started playing around with under eye concealers and everything seemed to apply patchy or they settle on the few lines I have. Yes, I have fine lines around my eye area. Not because I smile a lot but because I’m in my 30s. The acceptance of aging is for another story but that battle for finding the perfect concealer made me realize that I have dry under eyes. That’s how this skincare game added another level for me to conquer: finding a moisturizing #eyecream. When I received the Water Bank Eye Gel from Laneige, a brand that has never failed me, of course, I will have to try it. This eye gel has the Hydro Ion Mineral Water Technology which uses micro-sized particles of hydro ionized mineral water to penetrate the eye area, prevent dryness, and protect the skin from external aggressors. It also contains natural bilberry extracts to alleviate stress around the eyes, active agents extracted from palm to moisturize the skin, quinoa extracts to protect the skin from dryness and damage, natural olive oil to help retain moisture and smoothen the skin texture, and tillandsia extract. This is also a cruelty-free product that is formulated without parabens and phthalates. This smells exactly like their face and eye sleeping masks but feels much creamier. It also doesn’t give that velvet finish. Instead, it’s fast absorbing, so fast that I use twice the amount of product I usually use on my eye area. Also, it’s cold. I mean that in the best way. It’s refreshing to the eyes that it’s a nice touch to my morning routine. It gives that extra jolt a person who loves sleep too much would enjoy. It’s extremely hydrating, which suits my dry and dehydrated under eyes. Taking in mind that being photographed is not a rare occurrence for most people anymore, dermatologist Dr. Garth Fisher created Doc Block. Right now, #docblock offers two #sunscreen products – one for the body and one for the face. Using marine exopolysaccharide, sodium hyaluronate, and the chlorella vulgaris extract, the Radiante Revitalize and Firm Mask ($50) promises to help diminish the appearance of fine lines and wrinkles, provide moisture and elasticity, and deliver a youthful glow. As a fan of kbeauty, I have heard about Dear Klairs and have even tried some of their products. They adhere into making minimalist products, in both design and ingredients, and aim to make the skin healthier and stronger. Best suited for sensitive skin, they do not use harmful chemicals and is cruelty-free. Designed to calm and balance down the skin, the Midnight Blue Calming Sheet Mask ($30 for 10 pcs) contains erythritol, willow bark extract, and centella asiatica extract. It uses a rayon sheet for comfort and bamboo charcoal powder and tea tree leaf oil to cleanse pores and prevent blackheads. I like using this sheetmask after using a strong exfoliator as it feels cooling. It has a minty feel and its soothing benefits can be felt longer than other sheetmasks. I would recommend this for those who have acne prone skin. It leaves the skin relaxed, soft, and calmed.